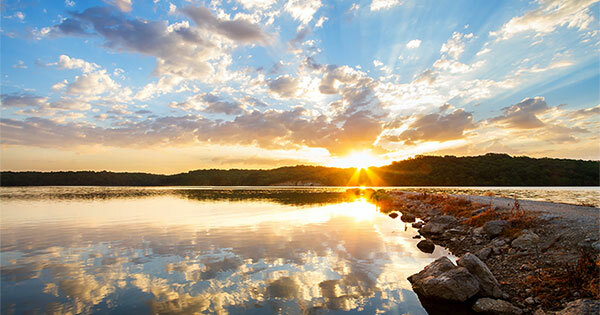 New Listings in Chicagoland were down 8.9 percent for detached homes and 5.0 percent for attached properties. Listings Under Contract increased 1.5 percent for detached homes but decreased 0.2 percent for attached properties. The Median Sales Price was up 7.8 percent to $242,500 for detached homes and 2.8 percent to $205,000 for attached properties. Months Supply of Inventory decreased 19.4 percent for detached units and 20.7 percent for attached units. Renters paying the median U.S. rent could afford a house that is 50 percent more expensive than the median U.S. home value, according to a new Zillow study. The study found that with an increase in rent prices across the country and low interest rates, many renters could afford pricier-than-average homes in their current cities without increasing monthly expenses. Zillow looked at the median rent payment in 50 cities across the United States to see how much home those renters could afford without spending more than they currently spend on rent. 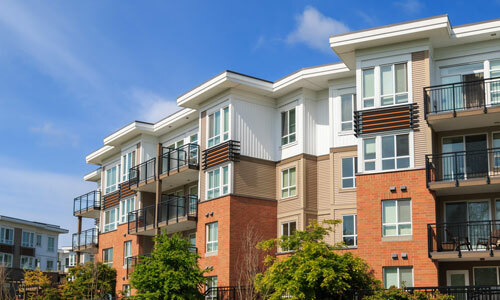 The median rent in the United States was $1,416 in March, which would cover the monthly expenses for a home up to $289,500, which includes the mortgage payment, property taxes, homeowners’ insurance and maintenance and renovation expenses. It also assumes a 20 percent down payment, which many first-time homeowners may not be able to provide. According to Zillow, 57 percent of the available for-sale inventory nationally is listed for under $289,500 and the median U.S. home value was $196,500 in March. 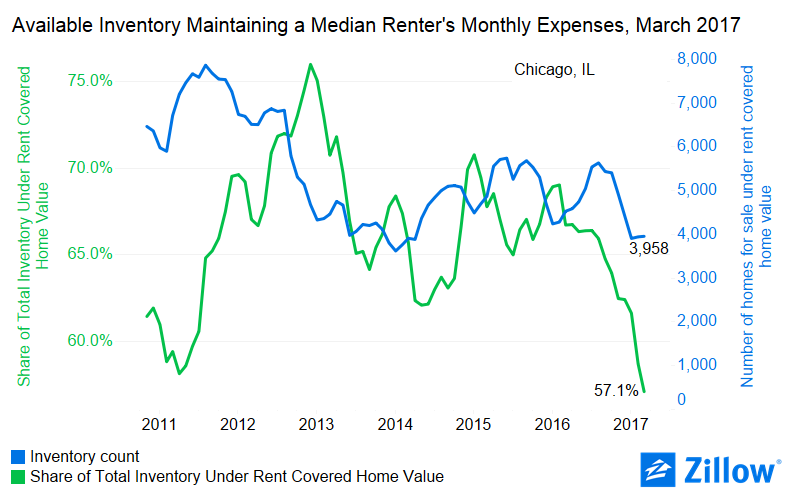 In Chicago, the average rent in March was $1,650, which would allow those prospective buyers to afford a home up to $337,347. The median home value in March 2017 in the city was $220,900.